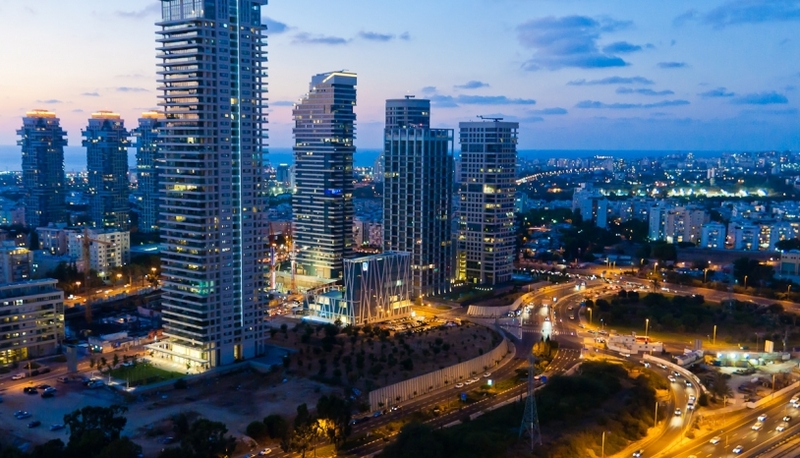 Tel Aviv is the core of huge agglomeration of many small settlements. Genuinely, it is a beautiful megalopolis by the sea. Being so close to the international airport, Tel Aviv welcomes many tourists. There is only 60 km from it to Jerusalem. 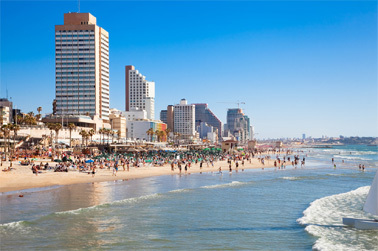 Staying in Tel Aviv, it is convenient to go anywhere around Israel. At the same time the city has so many things to offer that going elsewhere is doubtful. Beautiful and very long, the Tel Aviv promenade stretches along the sea and consists of several parts and beaches, which are to be joined into a one platform. The old town is always vibrant and lively no matter what time of year you see it. The numerous restaurants of the city are always full. And Tel Aviv is certainly a city that never sleeps. Even when the holidays are over, life is in full swing till the dawn. Tel Aviv cannot boast with many historical places and sites, because the city is much younger than Jerusalem. But it offers many modern things to enjoy: you can try best oysters, bath in golden beaches and dance samba by the sea, discover awesome nightclubs and do some shopping. The luxury boutiques and great local designers have already made Tel Aviv another world’s fashion city. Its streets resemble European ones because of red roofs of elder buildings. At the same time you can see many modern buildings and together they create a brilliant eclectic mess. You can find the best cuisine, chefs and restaurants in the country at the hotels. The restaurant business in Tel Aviv is at a high international level. Occasionally restaurants organize special evenings devoted to a particular national cuisine. They order and deliver the necessary products by plane from abroad. And there usually come the artists, who accompany guest’s meal with dances and songs. If you walk several miles along the Tel Aviv’s embankment, you will find the oldest part of the city, Jaffa. It is a place with old buildings and people of all religions living together. Here you can find many museums, including The Jaffa Museum of Antiquities. Jaffa became a home for many artists and musicians. Tel Aviv is the acknowledged cultural capital of Israel with its different concert and theater halls, plenty of museums and galleries. Most known theatres here are Habima, Gesher and Chamber Theatre. Tel Aviv can satisfy any music lover: there are jazz and pop concerts, ballet and rock performances. Gorgeous concert halls, including the Palace of Culture, Mann Performing Arts Center, Golda Meir, Suzanne Dallal Center and the theater "Tsavta" host different concerts, plays and performances. Despite of Tel Aviv youngness, it can tell a lot about Israel’s history. The exposition of Eretz Israel Museum tells about different aspects of Israel's past. The museum is based on archaeological excavations, which discovered an ancient the city of times of the Philistines. Those who seek for the beauty of classical and contemporary art can find the famous works in the Tel Aviv Museum of Art.